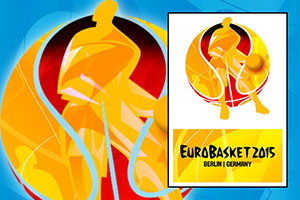 There were still six qualification places up for grabs on the final day of the group games at the 2015 EuroBasket. 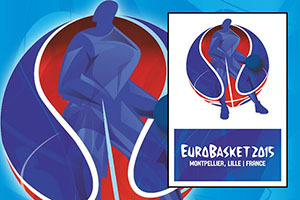 Fans in Montpellier may have been short-changed with no qualification spots up for grabs but fans in Berlin, Zagreb and Riga had plenty to look forward to as the 2015 EuroBasket tournament wound down the group stages in preparation for the knock-out stages taking place in Lille from this weekend. Group A knew its four qualifiers going into the final day of fixtures but there was still a level of excitement in the last games taking place in Montpellier. Both teams in the Finland and Poland game progressed to the knock-out round in Lille and the Polish side will carry a good deal of confidence into their match this weekend. A strong showing in the third and fourth quarter made the difference with respect to the scoring but Poland seemed the stronger side throughout the match. Adam Wacynski provided 17 points for the winners while the Finnish team relied on Matti Nuutinen who delivered 11 points and 8 rebounds. The Finnish side will strongly need to up their game at the weekend in the knock-out round. It may have taken until the second half of their last game in the tournament but finally the real Russia arrived at the 2015 EuroBasket event. It looked as though Bosnia & Herzegovina was going to dole out the final insult to the Russian side in this game but the Russians managed to avoid a 0-5 score line in the tournament at the last attempt. Andrey Zubkov had a big influence on the game for the winning side, offering up 17 points and 7 rebounds. For the losing team, Andrija Stipanovic grabbed 22 points. The final game of the group saw the hosts of Group A finally open up and take a team apart. The fact that the pressure was off both teams was no doubt and the French team were driven on by the home crowd, but this was exactly the sort of performance that the Montpellier fans wanted to see before the action switched to Lille. Once again, Rudy Gobert was at the forefront for the French, grabbing 15 points and 10 rebounds. With the teams in second to fourth place all finishing on 8 points, Spain came through in second place, which is probably more than they deserved from their performances. Serbia were worthy winners but the hosts and Iceland, who failed to make it out of the group, showed that they weren’t out of their depth at this level of basketball. Serbia concluded a perfect group stage with a crushing win over Italy, but the Italians were able to join Serbia in qualifying for the knock-out stages. Serbia were the stronger team from start to finish, outscoring their rivals in every quarter and showcasing a level of basketball that suggests that this is a team that can cause some damage in the knock-out rounds. Milos Teodosic delivered 26 points in the win while the ever ready Danilo Gallinari once again shone for Italy, providing 14 points and 5 rebounds. Italy had rested Marco Belinelli in the hope of him being at full strength in Lille, but it was still a convincing win for Serbia. The home fans in Berlin were once again left feeling disappointed but it wasn’t through a lack of effort on behalf of their heroes. Spain have shown glimpses of brilliance in this tournament but more often than not, they have flattered to deceive. In the end, they managed to withstand a German onslaught, and the Spanish side will hope to rise to the occasion when the action moves to Lille at the weekend. A convincing third quarter showing should have been enough to split the teams but the Germans roared with a 28-17 score line in the last quarter that just feel short of turning the game in their favour. Once again, Dennis Schroeder was in excellent form for the Group B hosts providing 26 points and 6 rebounds. His NBA compatriot, Pau Gasol was once again the key player for Spain, providing 16 points and 11 assists. The showing was sadly not enough for Germany who don’t get the chance to play any basketball outside of Berlin in this tournament. With the last game of the evening in group B going into overtime, it was a late night for the Berlin basketball fans that stuck around. Ali Muhammed grabbed 28 points for the Turkish side that overcame a deficit in the third quarter and who eventually ran away with the match in overtime. Iceland finished at the bottom of the group but in their first EuroBasket event, they impressed a lot of people. In a group that was deemed to be Greece and then everyone else battling it out for the knock-out round, things went pretty much to plan. Going into the final day of game, there were two spots up for grabs but in the end, there were no real surprises in this one. Slovenia were in full control of their game which ended Macedonia’s involvement while shoving themselves up the Group C table. Things were close in the third quarter but equally, Slovenia were never behind at any point in this game. The role of Alen Omic in serving up 14 points and 11 rebounds was crucial in keeping the Slovenians ahead at all times. The loss was enough to end Macedonia’s involvement in the tournament, although they performed brightly at times. 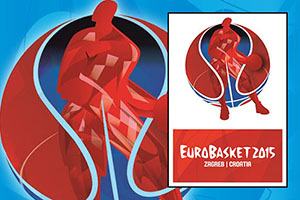 The 10 points from Predrag Samardziski wasn’t enough to prolong the team’s run at the 2015 EuroBasket. Georgia knew that their destiny was in their own hands and they set out to play at maximum level. It can be difficult to take on the hosts but the fact that Croatia had already secured their place in the knock-out stages no doubt helped Georgia to take full control of this game. It was a particularly strong second half from Georgia and they can look forward to the fun in Lille this weekend. Viktor Sanikidze was strong for the winners, serving up 12 points while Ante Tomic excelled for the hosts, providing 10 points and 5 rebounds. Knowing that there was still a chance to grab a knock-out round spot, Netherlands offered up a strong performance, but it wasn’t enough to prevent Greece from grabbing a 5-0 record and sending the Dutch players home early. Some of the key Greek players were rested for this one, but there was still enough quality on show to take the game. Like all groups apart from Group A, there were two spots up for grabs in Group D on the final day and fans that turned up in Riga, saw a host nation triumph and plenty of late drama. Belgium stamped their place in the knock-out round with a strong win against Ukraine in the opening game of Group D on the final day. The result means that the Ukraine finished just outside of the qualification places while Belgium sat at the top of the group at the end of the game, although later results could have an impact on that placing. The third quarter was the decisive quarter with Belgium opening up a lead and maintaining their position from that point forward. Kyrylo Fesenko was the star player with 20 points and 11 rebounds but you’d much rather be on the winning team. This meant that Belgium’s star man, Jonathan Tabu, with 9 points and 8 assists, can feel much happier with his day’s work. 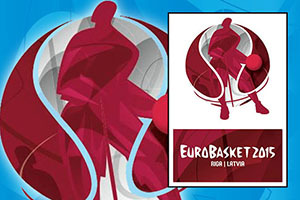 Trailing 15-29 at the end of the first quarter, hosting Group D in the 2015 EuroBasket could potentially have turned out disastrous for Latvia but a phenomenal third quarter and a strong fourth quarter made all the difference. Janis Strelnieks grabbed 21 points for the winners and he, alongside his team-mates can look forward to the knock-out stages in Lille. For Estonia, the tournament came to an end but they certainly enjoyed the event and the team made a positive impression on all who came into contact with them. Just as with Group B, the final game in Group D went to overtime, meaning that the fans who hung around had a late end to their evening. The Lithuanian win put them first in the group, leaving the Czech Republic in third place. Jonas Valanciunas made a game-saving block in the final few seconds of normal time and he also managed to deliver 13 points and 10 rebounds in a hard-fought victory.